Goldcross Training are a dynamic provider of Health and Safety Training courses to the construction Industry. We specialise in providing industry recognised certification and qualification through the Construction Industry Training Board (CITB) Site Safety Plus Scheme. 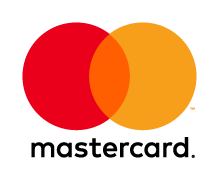 We recognise that as individuals ‘You’ are your most important asset and that for organisations well trained and motivated employees are fundamental; not only in providing for a safe work environment but also in delivering higher levels of productivity and building a more profitable and sustainable business. At Goldcross we offer a range of CITB accredited courses: Health and Safety Awareness (CSCS Green Card), SMSTS, SSSTS and associated refresher courses both on an individual basis and for organisations/companies seeking multiple places and or block bookings. If you are a labourer, operative, supervisor or manager seeking to develop your skills within the construction industry we can help ensure that you are provided with the best possible training. This CITB HSA course (Site Safety Plus) one day training course is intended for new entrants to the construction industry or individuals that need to refresh their training in order to obtain the CSCS Green Labourers Card. It provides practical guidance for employees when in a construction environment. 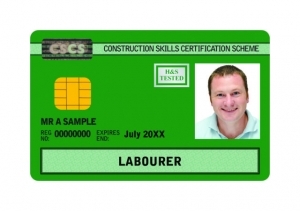 Need a CSCS Labourer (Green) Card? The two day CITB SSSTS course is for individuals who are considering undertaking or are already fulfilling a supervisory role on a construction site. It will provide you with a thorough understanding of the your health, safety, welfare and environmental responsibilities within the construction industry. The one day CITB SSSTS refresher course is for individuals who have already qualified as a construction site supervisor and have previously passed a SSSTS training Course. The course provides an opportunity to maintain and update your qualification through continual professional development. In order to undertake this course you existing certficate must still be in date. This five day CITB SMSTS training course is for individuals fulfilling the role of construction site manager and those who aspire to or have the potential to do so. It is endorsed by Build UK as standard training for all construction managers and covers all legislation relevant to the safe operation of a construction site. The course highlights how a positive health and safety culture can be sustained through; good communication, risk assessment and the implementation of appropriate control measures. This course is designed for site managers who have already attained the SMSTS Course certification or for those individuals who require a subsequent refresher. It will bring your health and safety knowledge up to date and ensure you are aware of the changes in health, safety and environmental legislation and its impact since you last attended, whilst also keeping you appraised of best practice throughout the construction industry. In order to undertake this course you existing certficate must still be in date. The Construction Industry Training Board and Site Safety Plus Scheme provides the building, civil engineering and allied industries with a framework for training and career development, for all levels of the workforce. The CITB Scheme recognises a natural progression, from someone new to the industry through to those responsible for managing construction work. Starting with a health and safety awareness day to prepare for the Health and Safety Test, and progressing to an intermediate level for those about to have supervisory responsibilities. There is then an advanced level for those with construction management responsibilities.